A new study from the Family Acceptance Project on the practice of attempting to a force change to the sexual orientation of LGBTQ-identified adolescents, known as “conversion therapy,” has proven it to be highly dangerous to the youth who experience attempts to change their identity from parents, therapists and religious leaders. The study, published by the Journal of Homosexuality, showed that when a parent attempted to change their LGBTQ child’s orientation, they double the chance of attempted suicide compared to those whose parents did not try to change their identity. What’s more, suicide attempts triple if the therapy goes beyond just the parents and therapists or religious leaders are brought in. The same is seen when it comes to depression, with it being more than twice as likely to manifest in those whose parents attempt to convert their child, and more than tripled if the parents include an outsider in the process. These can also have effect on the socioeconomic status of young adults subjected to the treatment, as well as impacts on their self-esteem, availability of social support, and education. 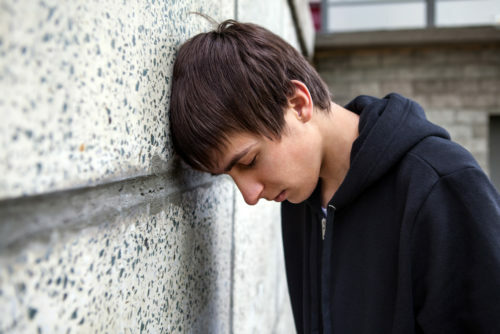 “Although parents and religious leaders who try to change a child’s LGBT identity may be motivated by attempts to ‘protect’ their children, these rejecting behaviors instead undermine an LGBT child’s sense of self-worth, contribute to self-destructive behaviors that significantly increase risk and inhibit self-care which includes constricting their ability to make a living,” said lead author, Dr. Caitlin Ryan. The study, titled “Parent-Initiated Sexual Orientation Change Efforts with LGBT Adolescents: Implications for Young Adult Mental Health and Adjustment,” shows that more than half of LGBTQ Caucasian and Latino/a young adults have faced such efforts, with more than half of those having to deal with it from parents as well as therapists and religious leaders. “Conversion therapy” has been a hot topic, with many states banning the practice, and many more considering such a move. It is currently banned in 14 states and the District of Columbia. There are also several smaller communities with their own bans in place. It is also featured in the current blockbuster, Boy Erased.